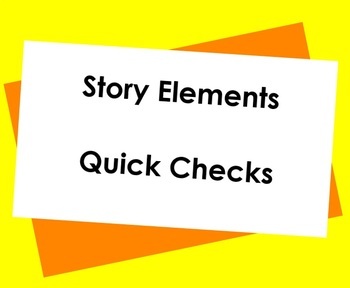 Included in this packet are a handful of quick checks for students to practice skills related to fictional story elements. I love to use these with my kids! I copy these at 80%, and my students glue them into their Reading Notebooks. This is meant to be an independent practice that my students can work on while I am facilitating Guided Reading.